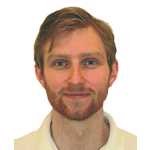 Jack Lidyard qualified from Brighton University as a Podiatrist in 2008 and immediately began working with athletes from an amateur to national level. Jack is experienced in all aspects of Podiatry, from wound care clinics, to nail surgery & reconstruction, to rehab & post surgery care including acupuncture, ultrasound and laser therapies. Jack has a keen interest in improving the environment for the foot to function in, and uses a plantar pressure and plantar force platform to make sure we analyse the correct data to ensure this, therefore allowing insole/orthotic prescription manufacture and adjustment to achieve specific targeted results.